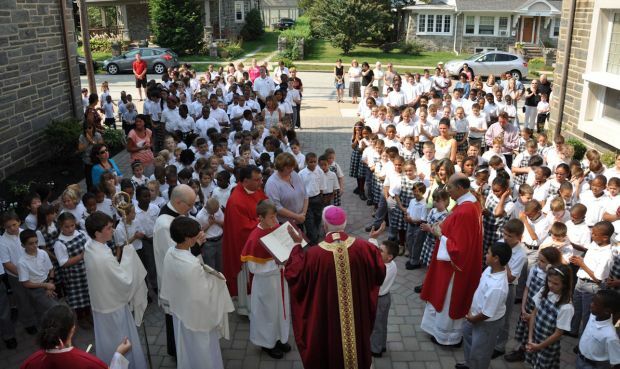 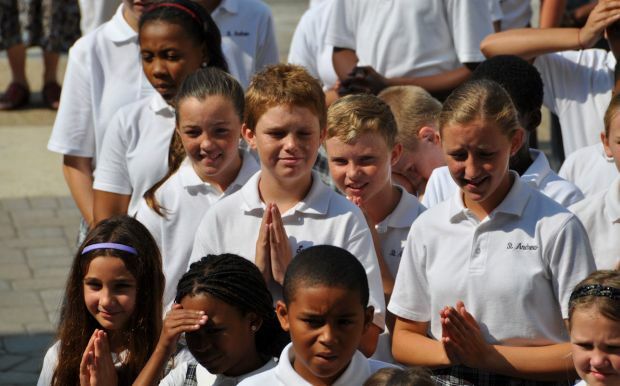 St. Andrew’s students pray during the dedication ceremonies for two school buildings on the parish campus. 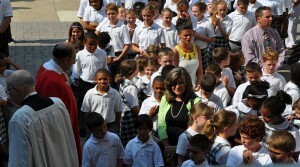 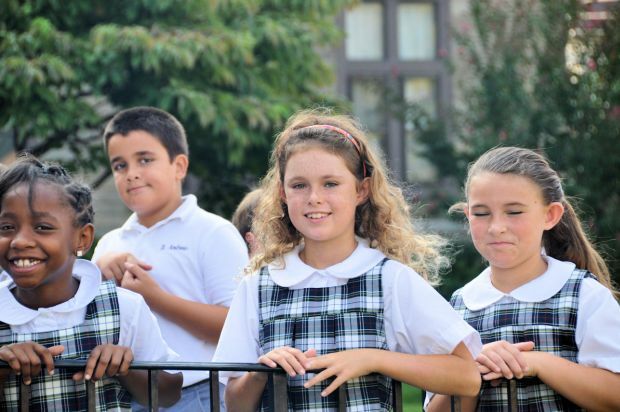 St. Andrew’s students enjoy the excitement of Bishop Thomas’ visit during an atypical school day. 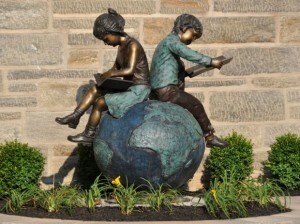 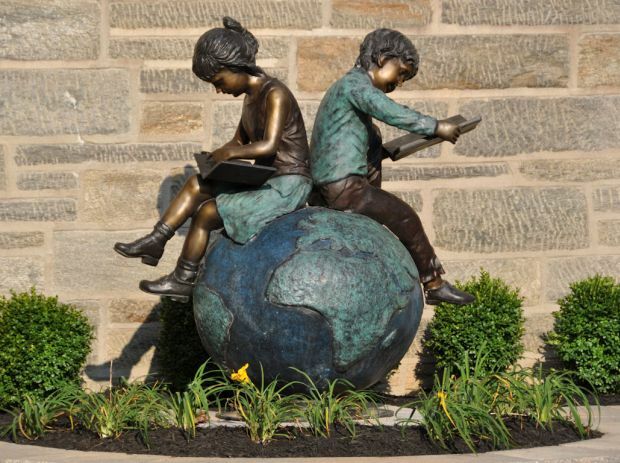 A bronze statue was installed by the main doors to welcome students and staff of St. Andrew School. 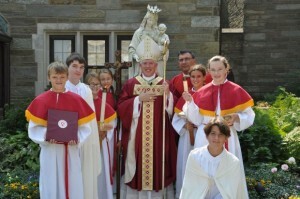 Bishop Thomas poses with Msgr. Albin Grous (near right) along with altar servers from St. Andrew School. 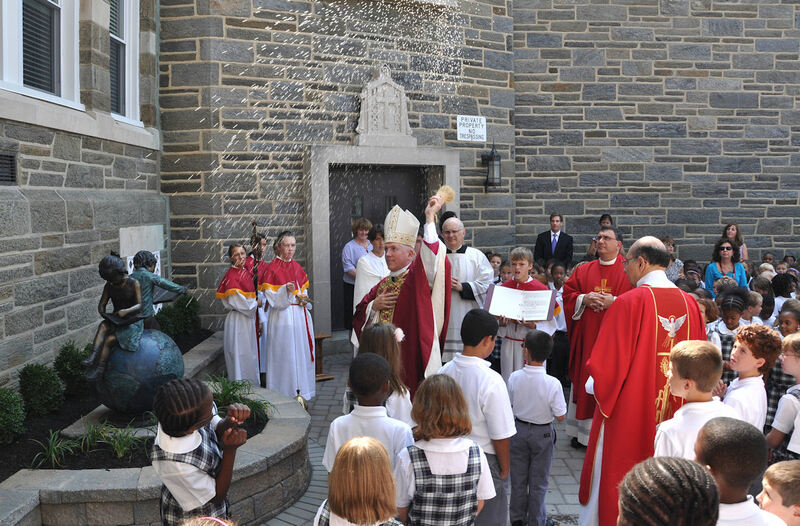 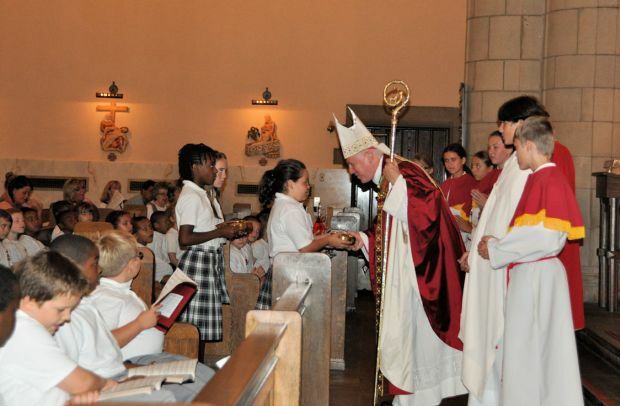 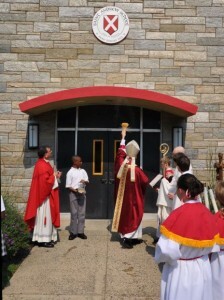 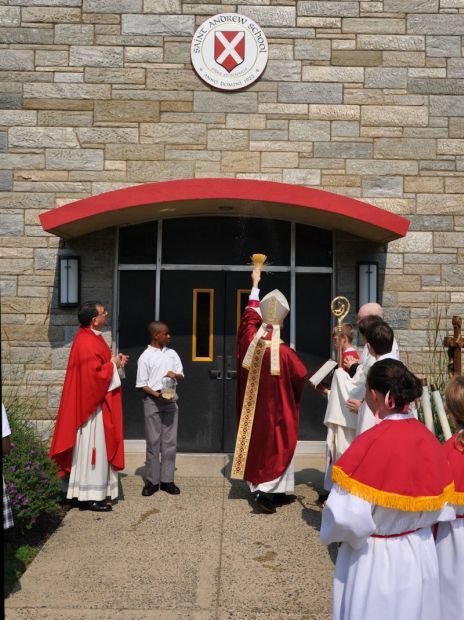 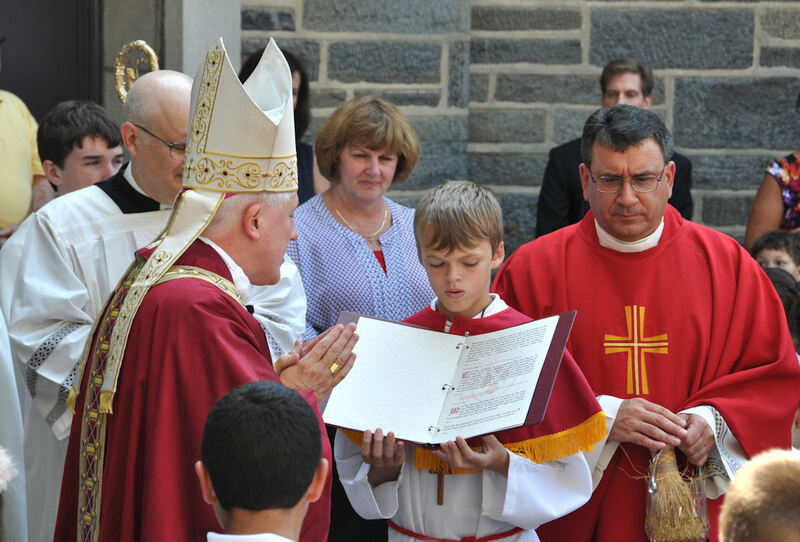 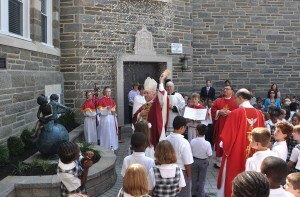 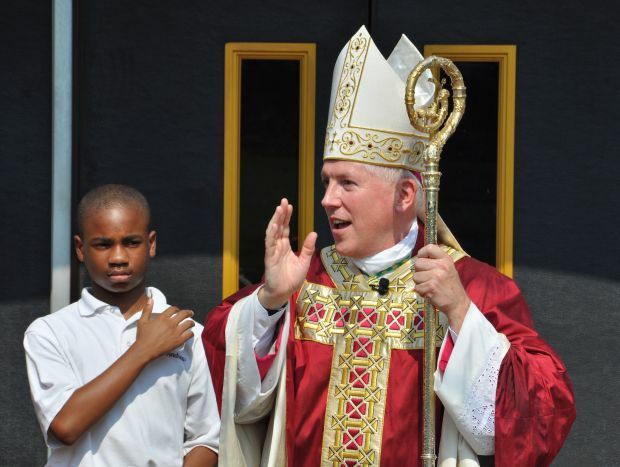 Bishop Daniel Thomas blesses the upper school of St. Andrew’s, which he dedicated the Father John Hughes Building after the parish’s second pastor.